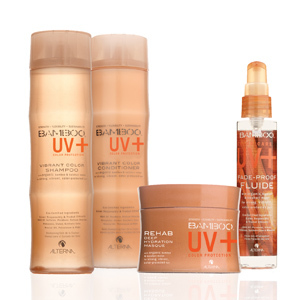 Every product in Alterna’s NEW Bamboo Shine Collection is made with eco-certified ingredients grown responsibly and traded ethically for formulas that are as great for your hair as they are for the environment. Strengthening pure organic Bamboo Extract and intensely shine amplifying Indian Gooseberry join forces for a powerful combination of natural ingredients that leave your hair brilliantly glossy. 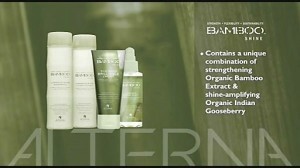 Hair is guaranteed to be strong, healthy and luminously shiny. Cultivate strong, vibrant, color protected hair.